Five visits go by, and you’re no better off than when you started. I discharged another patient this week. I’ll call him Larry. And it wasn’t because Larry’s pain was gone. Six visits in and Larry had no significant improvement from day one. Larry had experienced some tiny improvements in being able to bring his knee to his chest easier to tie his shoe and not feeling his low back muscles scream for mercy anytime he bent over to touch his toes. But we didn’t observe a dent in his all-day, every-day pain he experiences throughout his life. I said “Thank you.” Every patient I fail leaves me wondering, how do I prevent this from happening in the future? At Barefoot Rehab, we discharge people most often because their pain is gone. 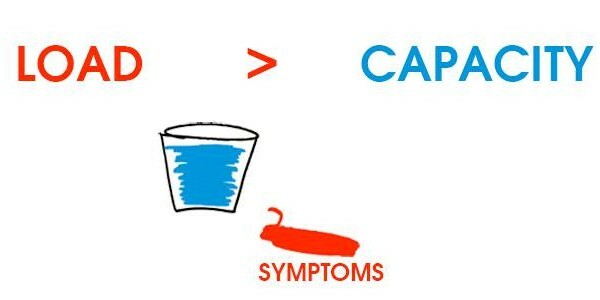 On occasion, we discharge people when treatment doesn’t work. I, personally, seem to be on pace for a “this-isn’t-working” discharge twice per month. To avoid this feeling, I’d like to help you from getting to a point of no return. There are two major reasons why treatment doesn’t work. Your joint damage is too significant. You’re doing too much work with your body. Smaller reasons why treatment doesn’t work include when metabolic conditions such as diabetes, celiac’s disease, or hypothyroidism are present. Or when a patient insists on seeing three different providers at once, who are un-doing the work of the other providers by throwing a wrench in the gears. I won’t discuss those smaller reasons here. If you’re young and healthy, do whatever you can to keep your body that way. Choose habits and work occupations that move your body in multiple ways and postures. Avoid uni-modal work environments. [Uni = one. Modal = mode of working] The classic uni-modal work environment is sitting at your desk, typing. You can make this environment bi-modal by standing anytime you’re speaking on phone, or tri-modal, by getting a desk that ascends allowing you to stand. Choose exercise routines that increase the frequency of movements and postures. Avoid uni-modal exercise environments. Running or biking 7 days a week is uni-modal. Adding yoga, lifting weights, pilates, or gymnastics are ways to add variation to your routine. Exercise slowly, quickly, in longer ranges of motion. Again, variation is the name of the game here. Give the body rest when you’re sore or fatigued. If you’re one of those people who is always sore or stiff, stop it. Constant pushing is not nature’s way. 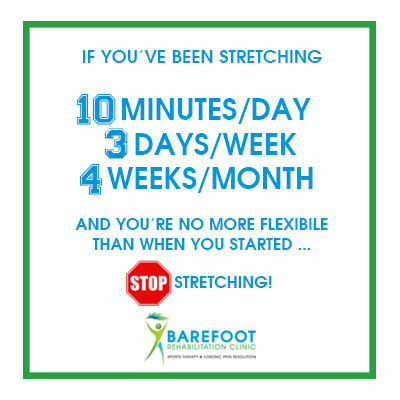 If you’re tight in any range of motion, spend 1 month trying to fix it yourself with stretching and mobilizing. If that doesn’t work, see a myofascial doctor. Integrative Diagnosis (ID) Providers are ideal. ID providers undergo extensive, on-going education and specialization in treating only adhesion. Find a provider through the online ID Directory. If you’ve damaged a joint structurally, then it’s time to start paying attention to that joint. The primary way that you’ll know if you have structural damage is that an x-ray, MRI, or arthrogram confirm a finding. Don’t do any type of high-load exercise for that joint. Powerlifting and olympic lifting are a bad idea if you have moderately or severely herniated discs in your low back. Cycling is a bad idea if you have moderaly or severely herniated discs in your neck. Tennis or racketball is a bad idea if you have degenerated flexor or extensor tendon issues, especially if you’re a desk warrior who types for a living. CrossFit is a bad idea if you have numerous areas of structural damage, unless you follow Coach Thomas’s advice. If that joint is overloaded (you feel pain or tightness right now), respect it and back off. How do you know if the joint is overloaded? It will express itself tightness or pain. Imagine that you work at a desk for a living such as an accountant and just went on a month-long bender during tax season at the computer. Your time spent at the computer has been manifesting as increasing neck tightness and mild pain shooting from your neck down to your mid-back. While feeling this overwhelming pain, it would be a bad idea to go and cycle, further putting stress on the damaged neck joints. It would make more sense to walk, lift weights, or do yoga. Any of these choices would allow you to avoid putting any stress on the neck. Get the muscles around the joint functioning at 100%. You can be tight and weak because you have joint damage. The more common reason, though, for your tightness and weakness is the presence of glue between your muscles known as adhesion. Adhesion is easily removed by a myofascial therapist or doctor such as an ID Provider. With significant structural damage, you’re running out of wiggle room to live and do the things you love to do. If you were in our office, we’d be nudging you with more force to do the three action steps from above. You might be thinking the pain, even with significant structural damage, isn’t that bad. This is always a huge mistake. It’s people who think they can live with their current level of pain that eventually come to regret that they didn’t listen to their bodies earlier. The pain you have now is not as bad or as persistent as it could be if you ignore it. You’re not those people, right? Time to do something different with your pain. The CrossFitting 45-year old business owner with golfer’s elbow. The stay-at-home mom with tennis elbow. The teacher who must run to manage his stress. If there is no other way for you to deal with life but to move voraciously, then we’re in trouble. Chances are, you’ve been ignoring the pain you’re now experiencing for a while now. 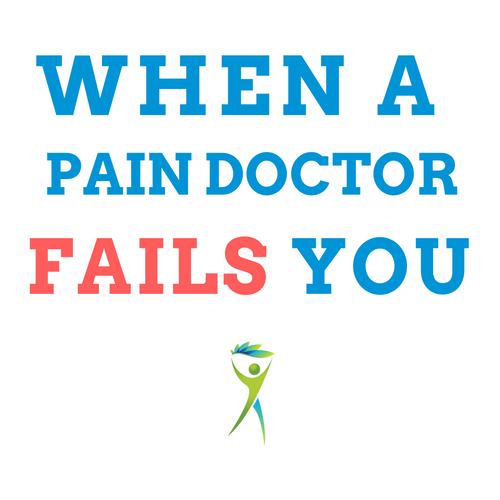 The fact that you’re seeing (or considering) another doctor means that it’s probably time to do something different about this pain. The first different thing you should be doing is to stop doing whatever it is that caused your pain in the first place. It’s the classic principle of load (work) exceeding capacity (your body part’s ability to do that work). Do too much and your brain will let you know by your feeling of pain. It’s so easy for all of us to forget how precious our bodies are. We go around, hustling from one thing to the next, never considering that our body gives us life. Your body is your life. Wow, I took my body and health for granted. Never forgot how precious your body, your individual joints, and your life are. Then, you’ll implement the action steps based on the extent of joint damage you have. And your doctor won’t feel so guilty for failing you. Most importantly, your body will thank you. I’m curious, what have you tried for your joint damage? Did it work? Which action step(s) are you committing to implementing moving forward?